My good friend Dr C (she's responsible for the name PoldaPop and a good bit of what appears in this blog) introduced me to the work of Alisa Burke. What an inspiration! 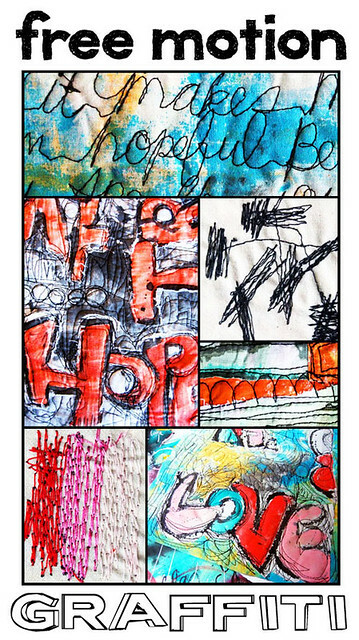 She's a painter and mixed-media artist who creates fantastic sewing graffiti and paper crafts and a lot of other wild stuff. 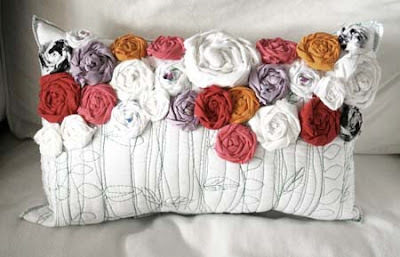 I fell in love with this pillow when I saw it on her blog. But then flowers seem to run in the Polderman family. My husband's parents own a flower shop in Michigan and my husband is so good at growing flowers that we had to research ways to stop our dahlias from growing 7 feet high this summer. While I love looking at Devon's flowers in the garden, I'm not good at growing them myself (my domain in the garden is the vegetable patch). 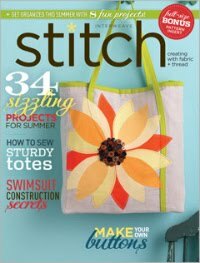 But I am drawn to making flowers out of fabric. 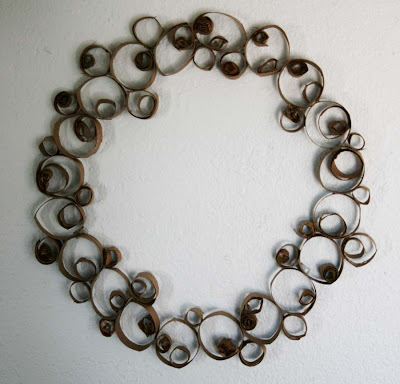 Wreath from toilet paper rolls! 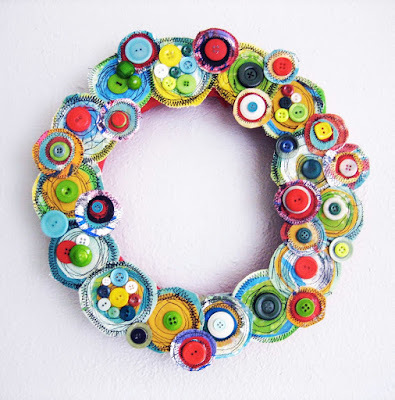 Wreath made from canvas, fabric and buttons - maybe this is where some of my buttons will end up! And for those of you who like to buy things pre-made, Alisa Burke has a lovely online shop.